When your bonding is of the premier level, so should be the Gifts. More than just ordinary, our Premium collection of Flowers has some of the best arrangement, bouquets and bunches. This range has some of the most exotic Flowers. These are perfect for your premium relationships. 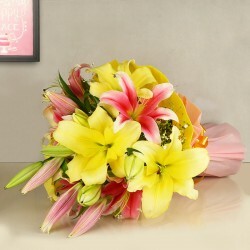 Flowers can really be considered as one of the best ways to brighten somebody's day, to extend your sentiments of love, and to offer congratulations of condolences. If you look at it, most premium flowers are just one of the many gifts of nature that can help invoke emotion from people. 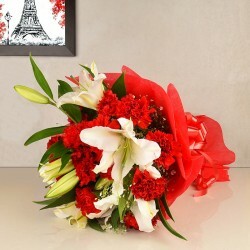 From soothing to uplifting, exotic flower bouquets speak a lot, without saying anything. Actually, a premium flower delivery is one of the most immaculate gifts for any occasion, leaving the recipient pleasantly surprised! 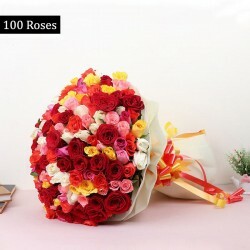 Flowers, for a long time, have been a symbol of one's love and care. Flowers were once gifted by a man to a woman to express their interest. This is something that is still being practiced and continues to be one of the most practical and appreciated gifts. 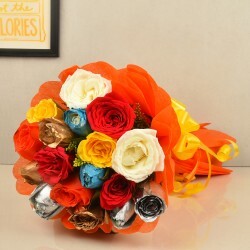 However, this is not the only role that a premium flower delivery has to play. They have long since extended their meaning beyond romantic love. 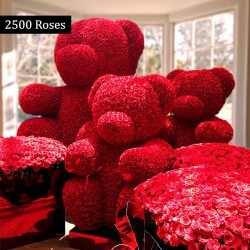 Today, people gift each other flowers to celebrate special as well as personal occasions. These occasions could include an anniversary, a mother's day, a birthday, or even officially observed holidays. Other reasons can also include expressing their sympathy, to apologize, or to wish well for someone. 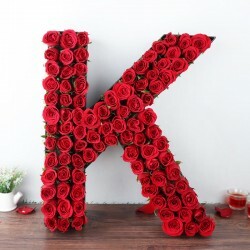 Basically, flowers have a lot of roles to play and different kinds of flowers have been associated with different meanings and emotions as well. 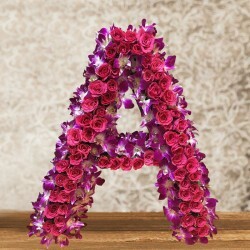 Since time immemorial, flowers have been playing a very important role in our culture and society. 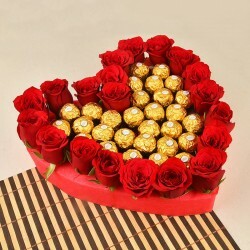 Traditionally, flowers were expected to be gifted on occasions like Valentine's Day or Mother's Day, to your loved ones as an expression of endearment. 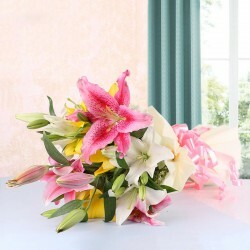 Flowers have also been the traditional gifts to be given at funerals for comforting the grieving family. 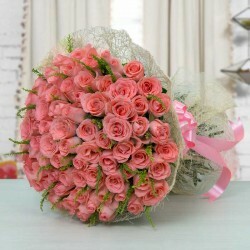 Flowers have also been traditional gifts to help cheer someone up while they are unwell or are recovering. Everything said and done, flowers have always helped acknowledge the emotional side of whatever is happening and are treated as symbols of thoughtfulness that fill an emotional role in most events. While flowers can express an array of emotions for the people sending and receiving the flowers, they can also be a great back up plan for times when you are at a loss about what you can gift to someone. When all else fails, send flowers. 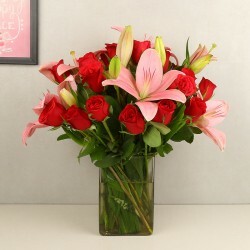 If a family member has just gotten a promotion and you don't know what to send them, choose flowers. When you need to get a hostess gift, but aren't too sure about the household tastes; you can send a flower bouquet. 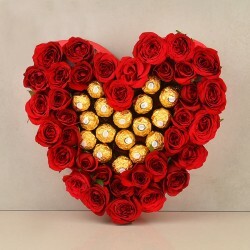 When you're away from a loved one on a special day, birthday flowers or anniversary flowers, ordered as a midnight gift delivery, can save the day. 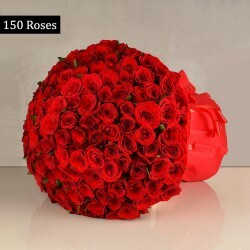 Even if you forgot till the last moment, you can visit MyFlowerTree, look at some amazing exotic flowers online, and order by same day delivery. 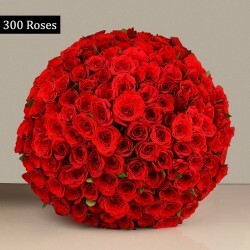 MyFlowerTree is your perfect online flower shop with a wide collection of some of the most premium arrangements that you can choose from. 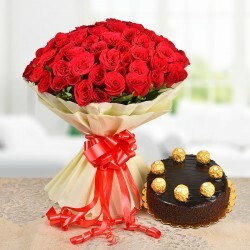 Send flowers to Chennai from anywhere in the world with MyFlowerTree, and don't let any occasion be forgotten. 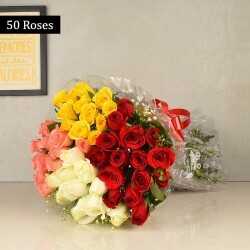 Whether you're too busy in your daily work routine or if you had forgotten your anniversary till the day before, you can choose from the numerous delivery options and get your gift of premium flowers delivered to your loved one at any time you want, with express, same day, fixed time, and even midnight delivery options. The people you love the best, deserve the best, and that is exactly what we have to offer in our premium flowers collection at MyFlowerTree; all you have to do is make a choice.